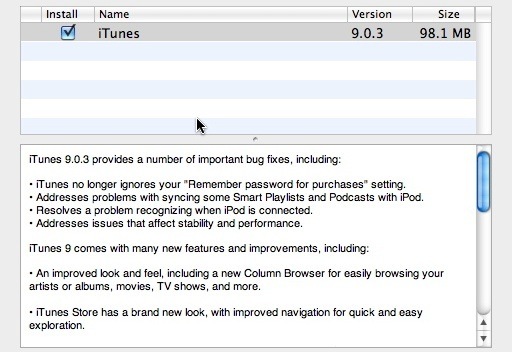 Apple has released iTunes 9.0.3 update. 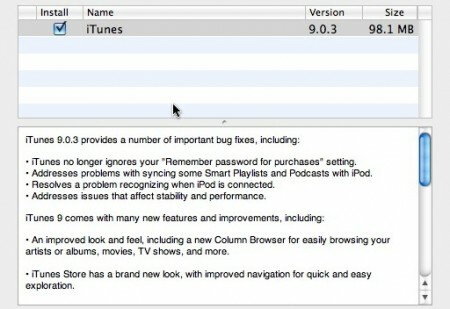 The update fixes some problems with syncing smart playlists with the iPod, “Remember password for purchases” option will be remembered by iTunes and other stability and performance issues. You can find more info about this iTunes update on Apple’s site (and here for Windows 64-bit users). 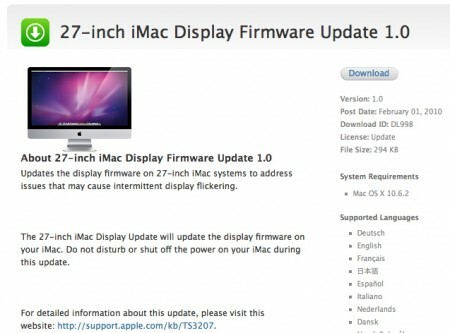 Apple also released Display Firmware Update 1.0 for 27-inch iMacs. The update “address issues that may cause intermittent display flickering”.